Toledo was founded by the Romans in the 2nd century B.C. The Jews arrived in the 1st century A.D., followed by the Moors in the 9th century. Today the Old City has a population of 15,000 and the entire city’s population is 85,000. Our first stop is in the Synagogue of St. Mary the White or Sinagogade Santa Maria la Blanca. 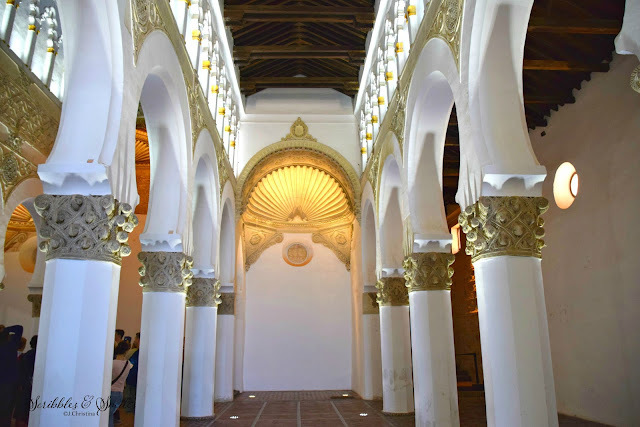 It is the oldest synagogue in Spain and is built in the Moorish style. Later it was converted to a Christian church. Many Jews left for Portugal or America in 1492, as a result of the Spanish Inquisition. Toledo is a beautiful and educational city with a rich history of Islamic, Christian and Jewish influences from the middle ages. This synagogue built in 1180 - is believed to be the oldest surviving synagogue in Europe. Saint Mary of the White is located in the Jewish Quarter and built in the Almohad architecture style during a period of Christian rule. 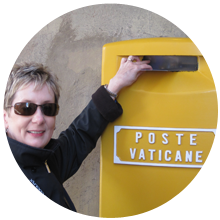 Follow J. Christina through Spain, Portugal and France in this series 2016.